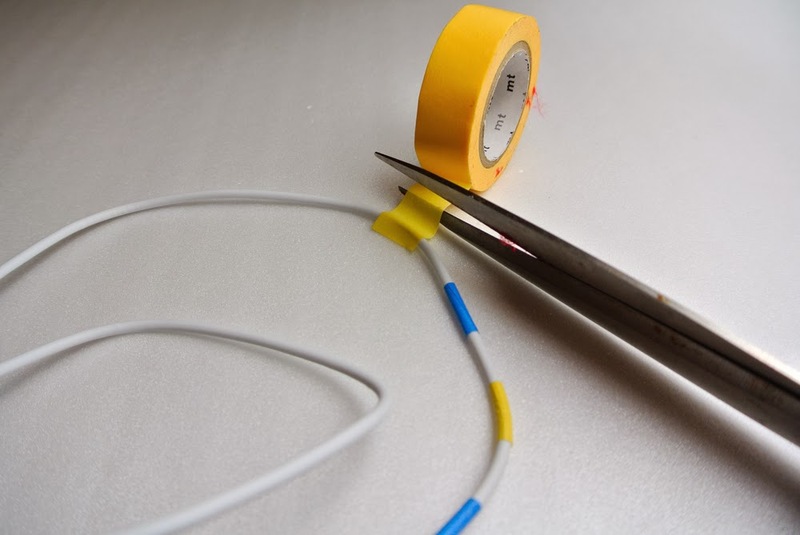 Jillian Undercover: TUTORIAL: Organize and Refashion Wire Cables! Anyway, I hope everyone had a fantastic weekend. I know I did! Apart from catching with up some buddies over drinks on Saturday night and working on my headgear for FMFA (woot, can't wait!) I was also in the mood to organize! I have a number of gadgets that I use quite often - my phone, phone charger, external powerbank, camera, iPad ... and the list goes on and on and on. This only means one thing, cables! Have I told you how much I hate cables? They're always in the way, making the room look a lot more messy than it is and they collect dust. And they all look the same! 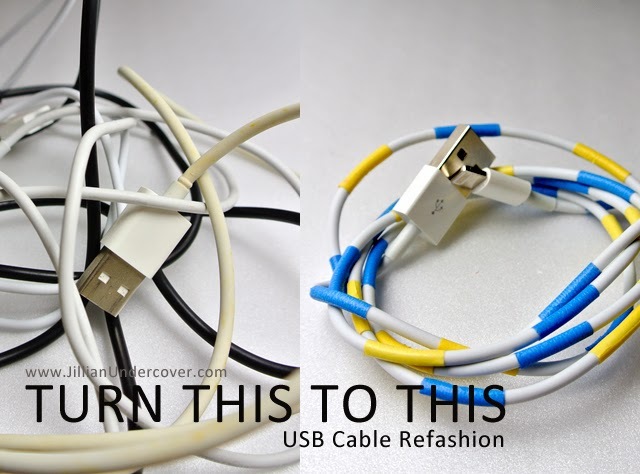 So here's a mini tutorial to organize them ugly cables and to at least make them a little prettier. 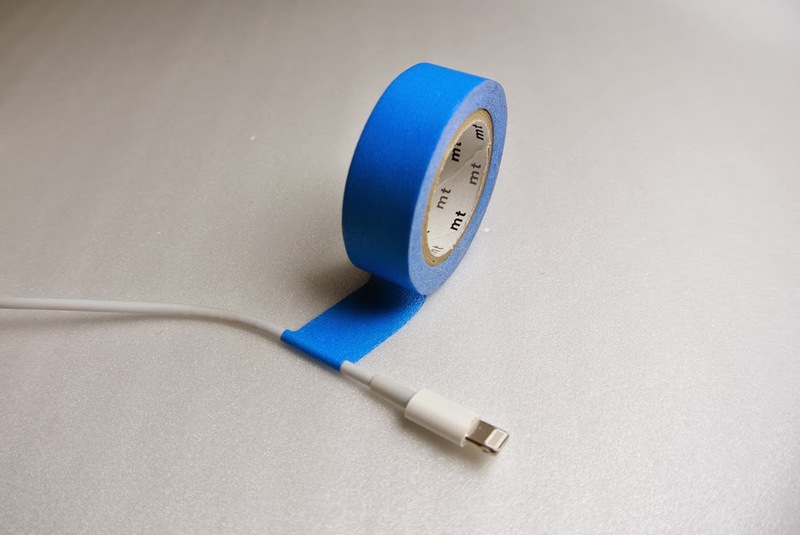 *Especially useful if you have Apple product cables, and they've turned all yellow and old on you. Hmph. How? With good old-fashioned Washi Tape of course! 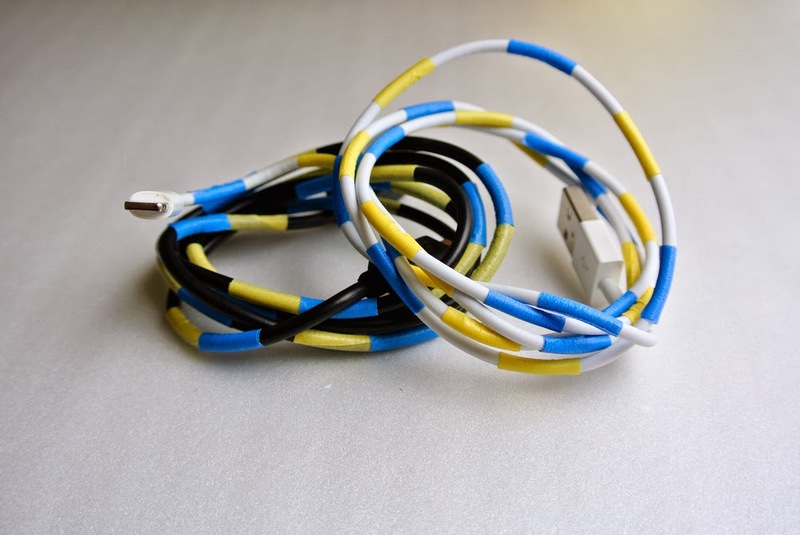 I bought two colours and used them to create different design variations on each wire. Just paste, snip and roll! Ta-dah! Prettier cables. I can say goodbye to getting my cables all mixed up and going on holidays only to realize I've brought the wrong cable with me. Yay!